Ski-in / Ski-Out .. Unità Incredibile, slopeside! Questa elegante residenza sul mammoth di Telluride montagna offre viste sulle montagne mozzafiato e la migliore atmosfera della regione. Questa unità dispone di una cucina completamente attrezzata, camino a gas, TV via cavo con canali di film, doccia a vapore, vasca idromassaggio, sollevato soffitto, completamente arredato, ed è ben arredato. La posizione è ideale - Non solo è Ski In / Out dalla porta sul retro, ma è a 3 minuti a piedi fuori dalla porta d'ingresso alla piazza Mountain Village dove c'è negozi, ristoranti e solo un posto divertente dove andare per un ambio piacevole. C'è una gondola gratuito a Mountain Village che ti porta in un giro panoramico da e per il villaggio di Telluride. Quindi, un veicolo non è necessaria, in quanto tutto è facilmente raggiungibile a piedi dal condominio. L'auto può rimanere in garage! Telluride offre musica e arte festival tutto l'anno, a pochi passi di distanza si trova il campo da golf! C'è molto da fare tutto l'anno tra cui sci XC, escursioni in motoslitta, giri in mongolfiera, pattinaggio su ghiaccio, trekking, mountain bike, arrampicata e naturalmente negozi e ristoranti! La cabinovia vi porta da Mountain Village alla città di Telluride in soli dieci minuti scenici brevi e bellissime. Telluride offre un'atmosfera lussuosa, pur mantenendo il suo fascino antico. It's truly home away from home! This Aspen Ridge condo has it all. Incredible location steps away from the village core, shops, gondola, a warm and homey feel, ski right off the back deck onto the Meadows run (truly ski-in/ski-out), a warm garage for your car, wonderful and comfortable living spaces, and a very nice, responsive owner/renter. We had a magical time with our family here. Thanks for everything, Sheryl. 5++ stars all the way! Thanks, Craig!! We are so happy you enjoyed our slice of heaven. Telluride is a very special place. The condo was so much more than we expected! It was beautiful, truly a ski in, ski out location and was immaculate and well stocked with everything we needed to cook in. It's also so close to the Village. I highly recommend this to anyone looking for a beautiful, relaxing, vacation!!! So glad you enjoyed Telluride, it truly is a slice of heaven!! We shuttled in from Montrose airport and couldn’t have been more pleased when we arrived at this beautiful condo for our family ski trip/vacation! 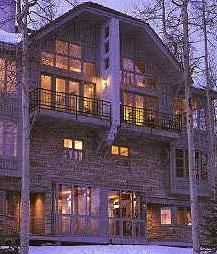 It’s in a great location with ski in/out access close to lift, a short walk to Mountain Village/Telluride gondolas and restaurants, nicely decorated with comfy beds, the kitchen had everything we needed, and the hot tub was great at end of day after skiing! Sheryl (owner) was very helpful with rentals and lift tickets info, as well as answering other questions that we had from time of booking to our stay. Property Management was also very quick to respond to a couple of minor questions/concerns we had while there. We would highly recommend this beautiful condo for family or couples ski trip/vacation stay. Our family thoroughly enjoyed our stay here. It really did feel like our home away from home! Thanks so much Bernadette!! We are so happy you enjoyed our little slice of heaven. You are welcomed back any time. So glad you enjoyed our home, btw, it's not for sale ;). Enjoy your new hot tub!! Has to be one of the best locations on the mountain! This condo has the most awesome view and you can't get a better ski in/ski out location. You literally can step off the back stoop, put on your skis and glide to the slope. It is an easy walk to the Mountain Village and the gondola. This was our first time in Telluride and we really were lucky to have found such an awesome accommodation. We did have some issues with electronics on our arrival but eventually things got worked out. I would certainly recommend this condo and would be thrilled if we had the privilege to stay here again. So glad everything worked out with the TV. Glad you enjoyed our home. Ideal location close to village center and right on the slopes! As advertised, Sheryl's place provided our family the ski in/ski out experience that we anticipated while being close to everything in the village. Extremely convenient with the ski storage area - walk out the back door, click in and go. Hot tub and steam shower were perfect for recovery after a full day of skiing. Walk across the street and down into the village for access to shops, restaurants and the Gondola to take you to town. Overall experience was great, we spent most of the time on the move skiing or in town so it was perfect! Thank you for sharing your slice of heaven with us, it was fantastic! So glad you enjoyed our home. It really is a "slice of heaven!" Cancellation Policy:Cancellation 6 months or more prior to arrival date 50% of deposit refunded. Cancellation between 6 months and 6 weeks prior to arrival 100% of deposit will be forfeited. Cancellation any time within 6 weeks of arrival 100% of payment will be forfeited.